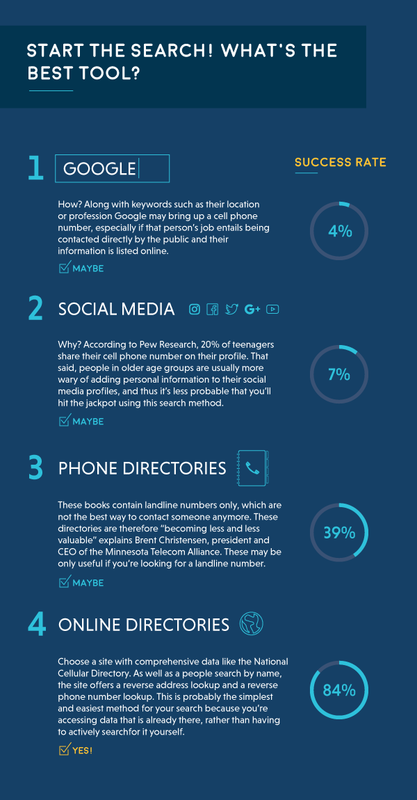 Yes, it's possible to find out someone's telephone number – here's how you do it. Are you looking to find out someone's telephone number? It's a common problem these days; due to our modern busy lives, it's so easy to lose touch with people we were once close to. There are tons of people that we meet over the years that we should really make time to reconnect with – a work contact you met at a conference but whose number you misplaced, or a childhood buddy who lived in your neighborhood when you were a teen – these people deserve you taking the time to get in touch and talk over the phone. Or perhaps you've lost the cell phone which had your contacts listed, and now you need to call a colleague or client. While looking for their email or social media presence is all well and good, sometimes it's just not appropriate to make contact with someone that way, especially if it's not a personal relationship. Waiting for them to see your message and respond can also take precious time. A good reason to rule out contacting them via these channels. Which number should I look for? Your first consideration should be whether you should look for a cell phone or landline number. According to a 2016 survey by Pew Research, 95% of American adults own a cell phone (77% of which are smartphones). An interesting point to consider is that 46.5% of respondents owned only a cell phone and no landline. Unsurprisingly, this is the highest rate of cell phone-only use so far, and the rates of cell-only use are steadily increasing. It's pretty evident that landlines are on their way out. Taking into account age should also be a primary factor when deciding whether you should look for a landline or cell phone number. For people aged 22 to 39, the rates of cell-only use were much higher, with 71% of this age group having no landline. Recent data has shown people are also less likely to answer their landline when it rings, for fear of it being a sales or telemarketing call. In fact, Pew Research has reported that only 9% of people answer their landline, compared to nearly 40% in the late 1990s. If you want to get in touch with someone, using their cell phone is clearly the best way to do it. Do you have any clues which will help you find out their phone number? Maybe you already have a few details to go on without realizing. If you know the location of the person whose number you're looking for, this can be a little clue. Perhaps you had one great date but then lost this person's details? There are ways you can find them again! Do you remember where they are from, or where they grew up? So knowing where they live or where they are from may help you, as people tend to stick with the same area code even if they change their cell phone number. 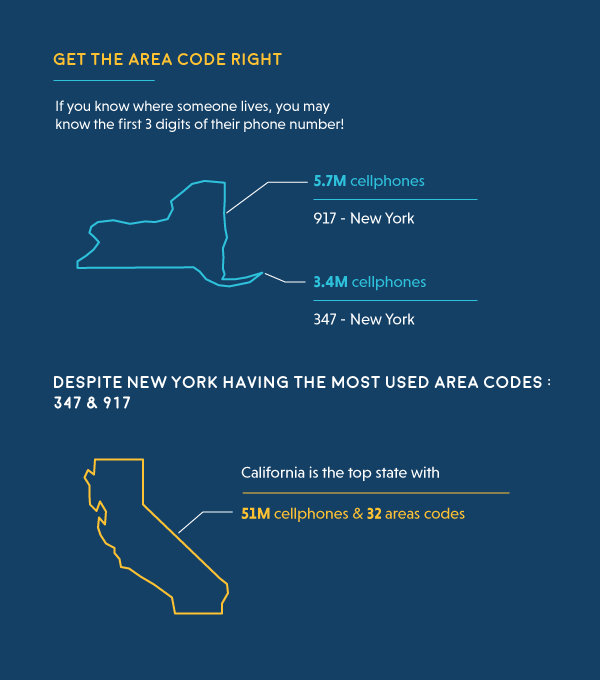 However, since cell phone use has grown rapidly over the past few years, new area codes have been brought in which may not correlate to location. While it's a good starting point, area codes and location are not guaranteed to match up. 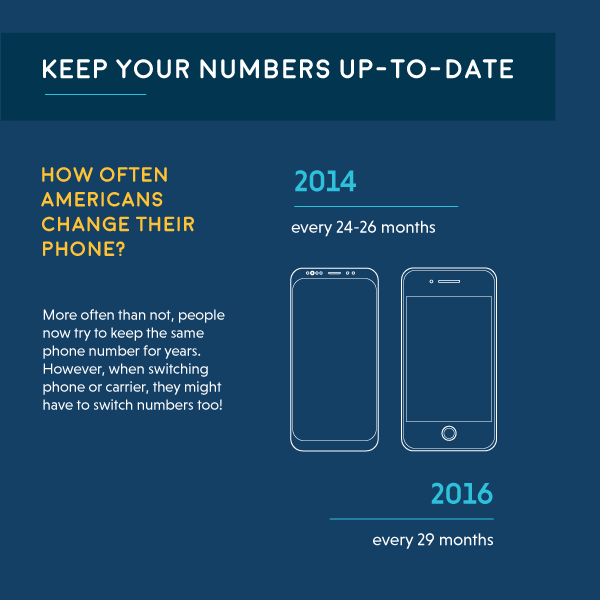 Furthermore, if you have a cell phone number for the person you want to contact, but it's more than a couple of years old, chances are it's no longer correct. Americans upgrade their cell phones on average every 29 months. Keeping an old cell phone number when you upgrade handsets or change network provider, can be a complicated process, and take longer to get your service set up. Not to mention the fact that it may limit your service area coverage and available technology. This all means that people may be less likely to go through the trouble of porting their cell phone number. If you want to get in touch with someone, don't rely on an old number from years ago. Now you should have a better idea of what kind of number you're looking for! Googling the person you are looking for, along with keywords such as their location or profession, may bring up a cell phone number. This will only work if that person's job entails being contacted directly by the public and their work information is listed online. If you have the person's email address, you might get lucky and find a personal cell phone number from Google (or other search engines). Some people do list their cell phone number on their social media profiles, so this can be an effective way to find it if you are already friends online. However, if you are not already connected, you may not be able to see this information. According to Pew Research, 20% of teenagers share their cell phone number on their profile. That said, people in older age groups are usually more wary of adding personal information to their social media profiles, and thus it's less probable that you'll hit the jackpot using this search method. Remember those? While physical copies of white pages appear on many people's doorsteps annually, more and more states are operating an opt-in policy to receive one. These books contain landline numbers only, which are not the best way to contact someone anymore. The directories are therefore “becoming less and less valuable” explains Brent Christensen, president and CEO of the Minnesota Telecom Alliance. Online versions of these books such as whitepages.com may be useful, but more often than not they charge a fee to access their database. A people search website will allow you to find out someone's phone number quickly and discreetly. Choose a site with comprehensive data like the National Cellular Directory. As well as a people search by name, the site offers a reverse address lookup and a reverse phone number lookup. This is probably the simplest and easiest method for your search because you're accessing data that is already there, rather than having to actively search for it yourself. 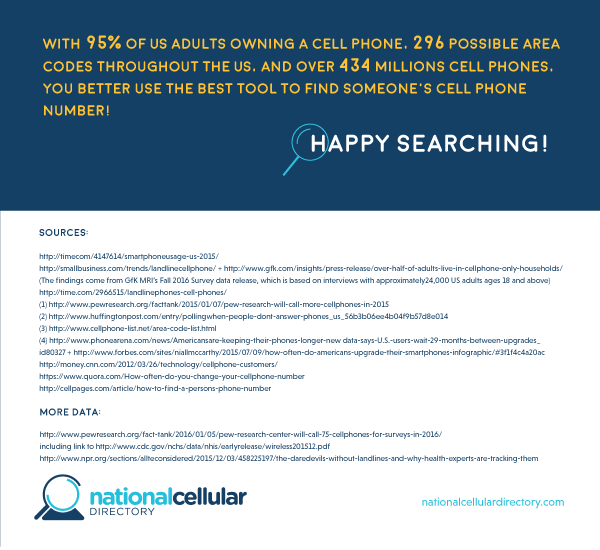 whether their age and/or profession can clue you in on the most likely method of finding their number; whether it's social media, Google or an online directory like the National Cellular Directory.